The aim of the campaign was to surprise locally, give people reason to talk and find regular local clients for renovated Selver. Stores usually advertise their offers with direct mail. 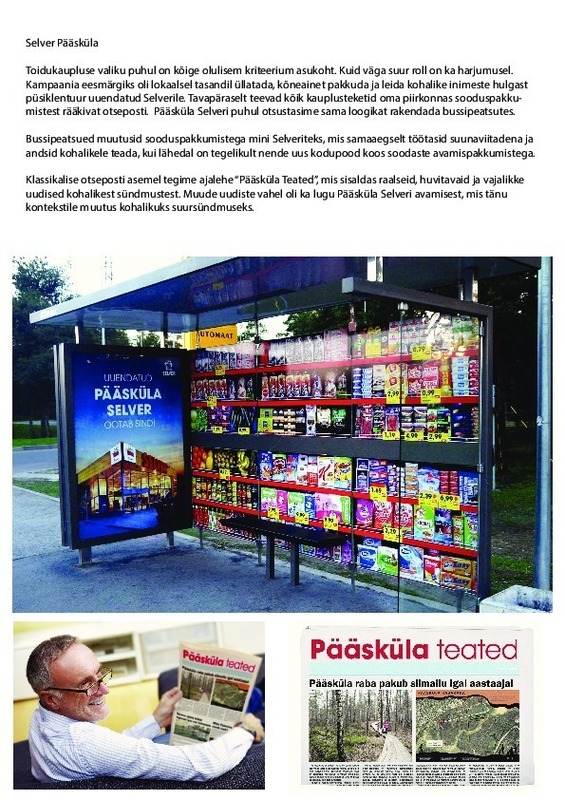 We used the same logic for Pääsküla Selver, but on bus stations. The bus stations turned into mini- Selvers with their offers. They acted both as directions to Selver and also information posts that informed the locals about their new local store with good offers.